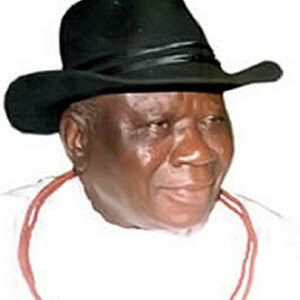 The Hypocrisy of Chief Edwin Clark on Corruption and Jonathan. Edwin Clark continues to generate controversy weeks after he was quoted as saying that former president Jonathan lacked the political will to fight corruption.The notable Ijaw leader and a former Minister, Edwin Clarke has released a statement describing the media interpretation of his statement as wicked and sensationally presented. was openly embracing and cultivating corruption by fighting for the late Alamieyeseigha.And why was he fighting for Alamieyeseigha?Because he was an Ijaw son,forget about asking whether he was guilty or not,he is an Ijaw son,so he can't go to jail. Corruption and tribalism are the two single reasons why Nigeria will not get nowhere.So Edwin Clarke wants Jonathan to fight corruption but when Alamieyeseigha was held in the UK for money laundering,he was running around trying to get him bail and free him?Who can honestly say Pa Clarke did not know about Alamieyeseigha escape from UK? Anyway's here is Edwin Clark's statement stating that he never received oil blocks or contracts from Goodluck Jonathan while he was president. 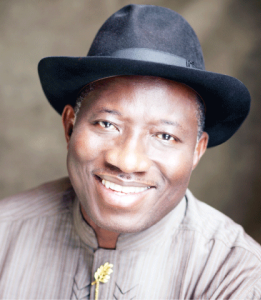 "My statements on President Jonathan and my quitting partisan politics were wickedly, sensationally presented. It must be admitted that President Jonathan was very willing to fight corruption, but he believed that due process should and must be followed otherwise he could have initiated investigations into the scandals of Halliburton, Siemens and other serious alleged corruption charges levelled against some former Heads of State and other prominent Nigerians. Jonathan believed that there are institutions set up by the government, such as the Economic and Financial Crimes Commissions, EFCC, and other anti-graft agencies. Regrettably, some of those who surrounded him led by the Attorney General, Alhaji Hassan Tukur, made it impossible for these institutions to work either by stopping them from arresting offenders or prosecuting some of the cases. Over 50 high profile corruption cases are still pending in the various courts for over eight years now. Laughable plea bargains and out of court settlements became the order of the day. It was at this juncture, when there was general complaint about the government not aggressively fighting corruption, that I addressed an open petition to the then Chief Justice of the Federation, Justice Dahiru Musdapher, November 2 , 2011, complaining that most of those charged to court, especially former governors who have become senators, were still pending. He promptly replied my letter on November 3. Most of the petitions written against some prominent Nigerians, addressed to the anti-graft agencies, did not see the light of the day. Ironically, the perpetrators of these corrupt actions were the same persons who attacked Jonathan’s inability to eradicate corruption. It is indeed most disingenuous to insinuate that my relationship with the former President was based on what benefits accrued to me. That is far from the truth as I never benefited any material thing from President Jonathan in all his six years as President. With all modesty, I am at this age contented. I state publicly therefore, that I never sought nor obtained any contract, oil block, oil lifting allocation or financial gratification from the ministries, departments and agencies, MDAs, during his years of administration. Similarly, I never solicited for appointments or special placements for any of my children or relations in any government or private concern on account of my relationship with President Jonathan. It is, therefore, ludicrous and totally ill-motived for these wicked and mischievous persons to sell to the public that my decision portends a plan to seek any special favours from President Muhammadu Buhari and his government, or to protect those gains which I acquired from Jonathan’s government, which never existed. On the contrary, my public service in this country, which spans over 60 years, had given me the opportunity to seek the political, social and economic development of my people and Nigeria in general. I remain committed more than ever before to the economic, political and social emancipation of the people of the Niger Delta, South-South, the entire minorities and the development and unity of this great nation. My support for Goodluck Jonathan predates his presidency. It dates back to the period when he was the Deputy Governor of Bayelsa State. So, for people, who are thinking that I only knew Dr. Jonathan when he became the President or that I was one of his hangers on, I think there will be need to give them a little information. “My relevance and leadership of my people as an elder statesman and a critical stakeholder in this Nigeria project far pre-dates Dr. Jonathan’s public life and presidency. I have been relevant in politics and I have served my people honestly and creditably well. I became very close to Dr. Goodluck Jonathan when he was Deputy Governor of Bayelsa State. I was present in London when the late former Governor of Bayelsa State, the Governor General of the Ijaw Nation, Chief DSP Alamieyeseigha, was arrested at the prompting of the Nigerian government under Olusegun Obasanjo because of his hatred for Alamieyeseigha. I had to cancel my flight to Nigeria at the London airport when news of the arrest of Alamieyeseigha was conveyed to me by Ambassador Pereware from Paris. I went with a few well meaning Nigerians to Essex where we had been informed that he was kept, but could not find him. We went to a few other places before we were able to locate where he was. I remained in London for one week with him to put in place machineries for his bail. I recall the large heartedness of Lady Ann Iyoha, who brought out the title deed of her property in London to secure his bail and also the magnanimity of another woman from Amasoma, the home town of Chief Alamieyeseigha in Bayelsa State. I still believe that Jonathan performed creditably well in various areas. I am very proud of him and so are millions of other Nigerians. He did many good things for this nation.